Guarantor loans represent an excellent option for borrowers that have a poor credit history. A guarantor loan, which uses a third party to act as security for a loan, can help borrowers to boost their credit history, while providing access to a lower rate of interest on repayments. When taking out a guarantor loan, it’s worth thinking about the basic benefits offered by this type of loan, as well as some of the forms of caution that should be exercised when repaying and dealing with problems as part of the loan. 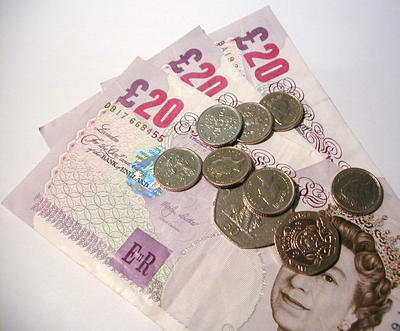 A guarantor loan is a type of secured loan. A secured loan is one that is typically held against an asset, which can be a home, a car or other pieces of property. Secured loans are perhaps best demonstrated by mortgage loans, where the house acts as security. As a result of this security, banks and lending agencies are willing to offer lower and fixed rates of repayment interest. By contrast, an unsecured loan is a personal loan that is given out without any assets being used to secure the loan – repayments are based on interest, which can fluctuate. A guarantor loan is a secured loan where a third party agrees to act as the security for repaying the loan. This guarantor has to be someone with a strong credit history, and ideally some form of property to insure the cost of the loan. In this context, risk is lowered, and a borrower that doesn’t have a good credit history can receive a lower interest rate on the principle of their loan. The main benefit for a borrower in applying for a guarantor loan is that they are able to repair a poor credit history. Borrowers that have had difficulty finding loans elsewhere as the result of credit card problems or past loans become much less of a risk for banks and lending agencies. As the guarantor assumes the risk of the loan, repayments are lowered, and it is possible for the borrower to repay the principle and receive an improved credit rating. It’s also worth noting how a guarantor loan is much less of a risk for a borrower with a bad credit history than some types of debt consolidation loans. These might involve much longer repayment schedules and rates of interest than a typically low or fixed rate guarantor loan. Moreover, a guarantor loan is better in terms of overall value than a payday loan, where a short term cash advance is made against a borrower’s next payday. While useful for receiving a quick loan, a missed payment can result in an interest rate of 4000 APR and above, which can produce significant debt over time. As with any type of loan, it’s worth understanding the risk for a guarantor. The person acting as a guarantor needs to be able to trust that the borrower will make their repayments, unless they want their own rating to suffer, as well as becoming liable for repaying the loan. In this context, it’s often better for a guarantor to be a family member or close friend in order to avoid there being personal problems as the result of a missed payment. When it does work, however, a guarantor loan has significant benefits.